Whether you’re planning to charter a yacht or buy one yourself, you need to know that yacht safety is extremely important. Once you’ve paid attention to yacht safety, you’ll be properly prepared and you’ll be able to relax and enjoy the beauty and functionality of your vessel. We are here to help you get a handle on yacht safety. First off, you should know that you’ll need a life jacket and that each passenger and crew member will also need his or her own life jacket. Chartered yachts may be pre-equipped with a range of life jackets. However, this is something that you should inquire about before finalizing any type of yacht charter arrangement. Each life jacket should be approved for usage by your country’s governing body. We recommend Type 1 life jackets for yachting enthusiasts. These work well, as they keep heads out of the waves, even when men, women and children aren’t conscious. Any offshore adventures should never be carried out without these types of life jackets on-board. Naturally, they will need to be worn in order to be effective, so be certain that you wear yours and make sure that others do the same. When safety is forgotten, problems may arise. It’s important to be disciplined about yacht safety. Look for life jackets which aren’t too bulky and which allow for optimal range of movement. There are many styles of this type available. The more comfortable a life jacket is, the more likely you will be to wear it, and this goes for other passengers, too. Those who want to do offshore adventuring on their yachts will benefit from selecting life jackets which come with harnesses, as well as thigh strap features and auto-inflation features. As well, offshore yachting fans should seek out designs which come with spray hoods and lights. These high-tech and practical styles offer a range of protection, as well as sensible features which make the myriad tasks of offshore yachting easier to perform. Life jackets are important. However, establishing the seaworthiness of a yacht is also important. If it’s your own yacht, you’ll have control over when it’s maintained. You may record maintenance processes in a yacht safety log in order to keep things organized. This will make it easier to ensure that maintenance is being performed when it should be. If you’re renting a charter yacht, ask to see maintenance records. A good yacht charter company will practice transparency with its clients by sharing this type of safety-related information. Be wary of yacht charter companies whose representatives are unwilling to share such data. All systems on a yacht, from GPS electronics to engines to appliances, should be routinely inspected in order to ensure that they are in good working order. Attention to detail with regard to inspections (and making necessary repairs or replacements) is necessary and prudent. Yachts are complex machines. They require a lot of upkeep. 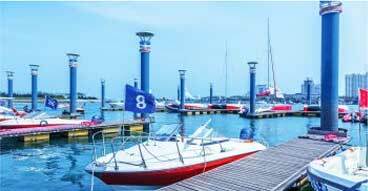 Good records which indicate superb upkeep are insurance against problems out on the water. Lastly, avoid drinking too much alcohol while on-board. Encourage others to drink in moderation as well. Even if you have a full crew of yachting professionals on-board, such as a yacht charter crew, you will need to be alert and sober in case there is an emergency of some sort. Alcohol dulls the senses and slows reaction times. While you should relax and unwind on a yacht, you should always keep safety in the back of your mind. Ask yourself if what you are doing on-board will negatively impact your ability to take care of yourself in the event of trouble. Yachting is a glorious way to escape. It’s a luxurious method of exploring the world’s most beautiful waterways and ports of call. By learning how to stay safe, you’ll boost your chances of enjoying the yachting expedition of a lifetime.